The southwest block shears off while puffs of smoke from other detonations continue to cut away at the structure. It was like an execution. The inmate was shaved and strapped down. Nine seconds of popping followed as hundreds of small charges of plastic explosives detonated. 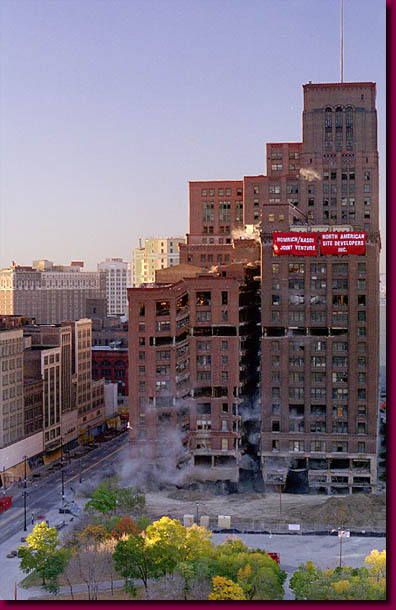 Then a large explosion in the lower left corner collapsed the southwest block of the building. The face of downtown Detroit would never be the same.